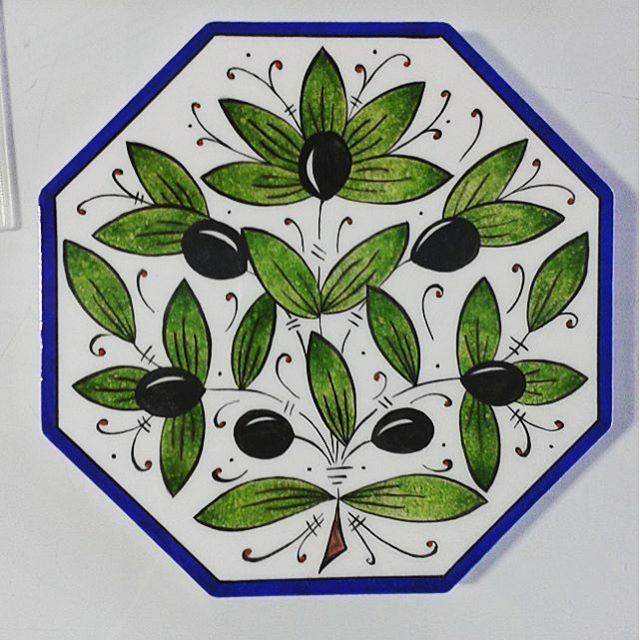 My husband has always loved Mediterranean ceramic ware with all its extravagant colour, movement and sunshine. It’s taken me a bit longer to appreciate it, being more taken by the control, design, rules and static nature of the Islamic inspired work. But during my olive project research I came across some Italian olive oil jugs and carafes and couldn’t resist designing a piece that incorporated a more Italian theme with the order and symmetry of çini. What emerged was this curious fusion piece that has since become one of my favourites. It might actually do me good to imbibe some of the Italian movement and freedom in some more of my work.. Certainly the çini artists I admire the most follow the rules but with a flair and motion to their style that is breathtaking (and for all its apparent effortlessness takes years to master! ).